It is important to keep your beard looking fresh and clean, even during no-shave November. However, when your bread needs trimming, you can’t just whip out a pair of scissors and start cutting, unless you are a professional. Since you aren’t a professional, you might want to consider your trimmer, the kind you get, and the best options to consider. 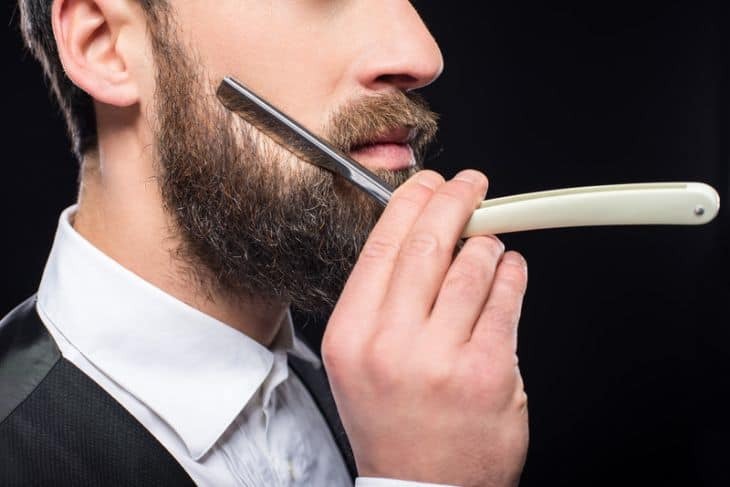 Here are five different tips for buying one of the best trimmers for your unique beard. The first tip you should consider is buying the best quality beard trimmer that you can get. This means you shouldn’t skimp on the trimmer because you essentially get what you pay for. A high-quality beard trimmer will have built-in settings, an easy to clean product, and a powerful battery. Trimmers of low quality might not cut your beard more so than pull it out, which might leave your facial hair patchy and unsightly. Finding a good, high-quality trimmer can mean looking at the reviews as well. If customers are complaining about the use of the product, specifically if something is mentioned more than twice, then it is worth consideration. That trimmer might not be the best option. While you might not think it important, you should think practically when buying a beard trimmer. 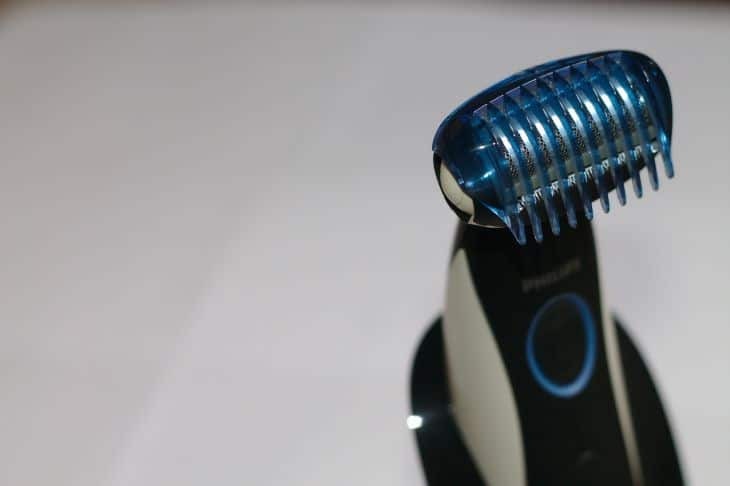 Rechargeable trimmers are perfect for saving space in your drawer or cabinet, and trimmers that have a built-in razor as well is a great way to get a great shave or a great trim. The best way to think practically is by considering your lifestyle and what you need for your beard. Another practical way to buy a trimmer is by listing all the features and options that you think you might need. You can also consider your space, your normal grooming time, and how often you need to trim your beard. These are things that will be specific to you, and they should be considered before buying any product to help you find that right trimmer. Buying a great trimmer can mean choosing something that is very easy to clean up when you’re done. You don’t want a pair of trimmers that is difficult to clean. You are not going to be willing to clean it after each use, and you will end up ruining your trimmer in the long run. Most trimmers are made with detachable cutting heads that make them easier for you to clean out and protect. Plus, a sterilized blade is better for your beard overall. Failure to clean your trimmer is going to do a few things. First, it will ruin your trimmer in the long run. When you get all those hairs stuck inside, it can clog up the blades, making them dull out faster than before. Sometimes, it might cause the trimmer to overheat, and thus ruin it completely. Second, failure to clean your trimmer can result in less than perfect results on your beard. All of those hairs are going to clog up the blades, and it will start pulling and tugging on your beard instead of cutting the hairs. If your barber or your nicely bearded friend gives you a trimmer recommendation, you should consider it. There are many different options out there, and that can make it difficult to choose the best one. However, if your friends have products that are tried and true, they can be the best people to give you a recommendation. They might even be able to tell you about the features of the specific product to help with your decision. If you don’t have any friends that are in the bearded world with you, talk to your barber. You can even ask around on social media to see if others have suggestions for a good beard trimming product you could try. Finally, you should talk to your barber. Seriously, by talking to your barber, you can get their advice on the best trimmers, the best way to trim your beard, and how often you need to keep it trimmed to make your beard look the best it possibly can. Your barber is a professional. They have been working in the business for quite some time, which means they know the ins and outs of trimming beards, among other things. You should listen to them since they are professionals. Your barber might even have a few recommendations for you, as mentioned above. These recommendations can be beneficial in helping you find a good trimmer, and your barber might even be able to demonstrate how to properly trim your beard with a product of their own. All you have to do is just ask them for help and advice. If you are a bearded fellow with a need to trim up that facial hair, then you’re not alone. Just because you’re taking on the beard doesn’t mean that you need to let it get out of control. Part of grooming yourself is by taking care of your beard, and trimming is an important part of the process. In this case, you will need a great trimmer to help you get the job done and leave your beard looking fresh and clean. If you don’t already have a trimmer, it might seem like a difficult process to find a great product. Instead of panicking, you can follow the handy tips mentioned above to help ensure that you are getting the best trimmer for your beard.